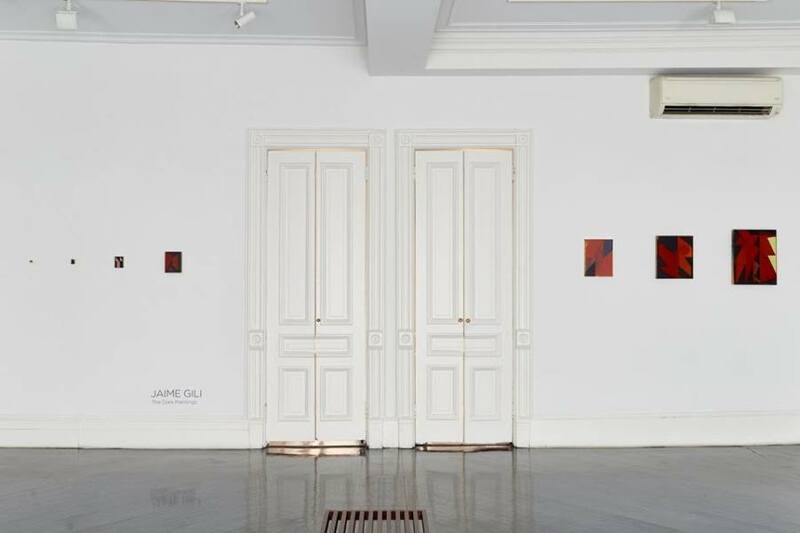 Jaime Gili’s painting is steeped in the paradox of an abstract practice whose meaning depends largely on referentiality. 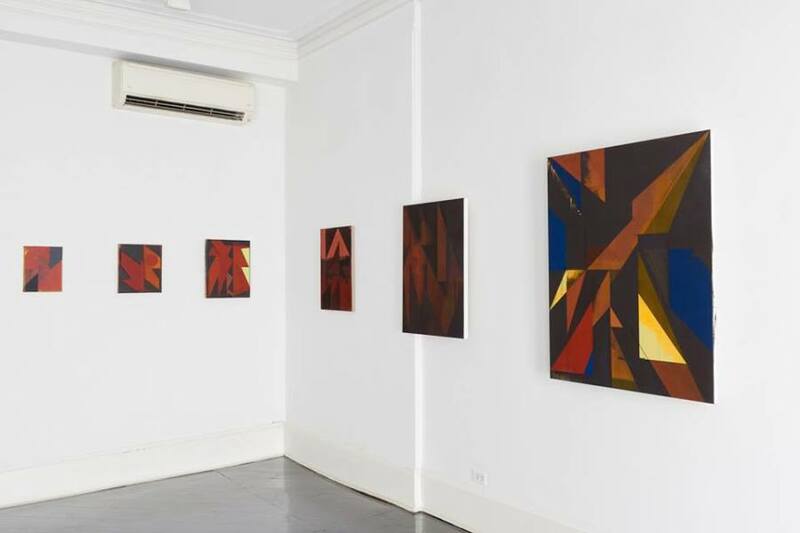 Despite the artist’s long-term commitment to the mostly flat and broken planes of geometry in an investigation of color that delights in the specificities of materials and technique, Gili’s paintings are mostly discussed in relation to the histories of prewar and postwar geometric abstraction that circulate globally. 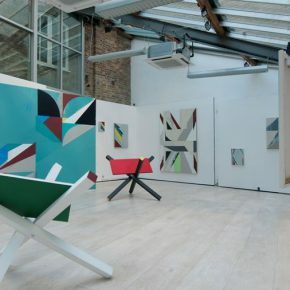 Among those histories, the narrative of Geometric Abstraction in Latin America, and specifically, the story of that tendency in Venezuela, his native country, permeates the reception of this work both in the Americas and Europe (where the artist has lived since finishing graduate school at the Royal College of Arts in London). 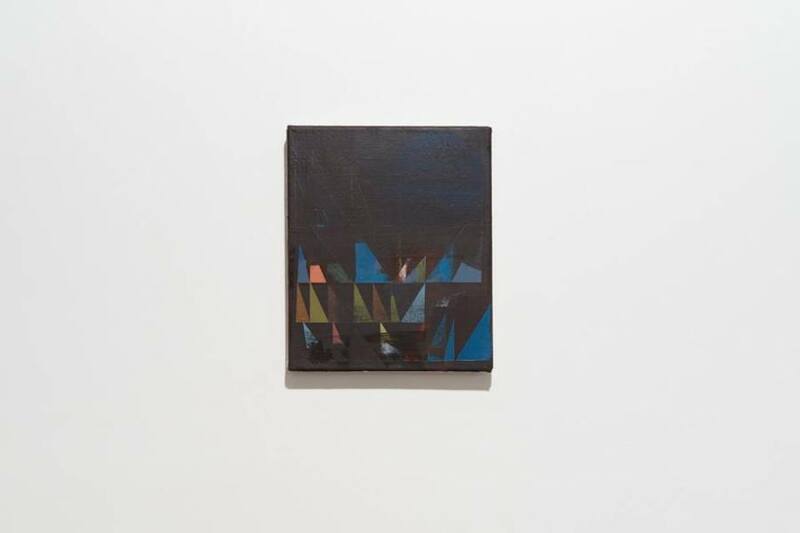 A sweeping look at Gili’s practice, whose website is as media savvy as his paintings are prolific and heterogeneous, signals an interest in exploring painting’s contemporary, intermedial condition. This may well be not only a response to the medium’s post-medium desire to sustain some currency within contemporary artistic debates but also a vestige of a once-utopian desire to affect the spaces of the city. Indeed, Gili’s work is both nostalgic and optimistic. It harks back, as he himself has admitted, to the most important experiment with the synthesis of the arts in the postwar period: Carlos Raúl Villanueva’s Ciudad Universitaria (City University) in Caracas. The latter was a “New Monumentality” effort to integrate the arts in a public educational institution that registered the local dilemmas and natural conditions of the place. 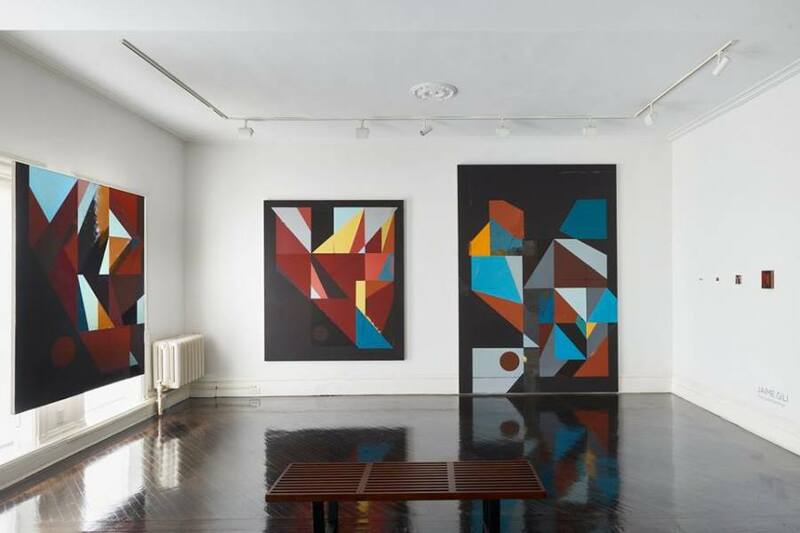 This 1940s-50s endeavor, which counted on the participation of local artists and international Parisian staples such as Victor Vasarely and Fernand Léger—their polychromies covering self-standing murals and façades stand out in the punctuation of a parcourse that was as functional as it was leisurely— had more or less direct off-shoots in the sixties and seventies. Of these, the multi-support “chromatic inductions” of artist Carlos Cruz-Diéz (seen on murals along the Guaire River, silos in the port of La Guaira, buses, pedestrian walkways, airport floors and hydroelectric plants) preface Gili’s manifold platforms: walls, façades, stairwells, tanks, columns, shanty towns, boats, cars, helmets— and supports: canvas, jute, metal, glass, board, paper, wooden structures and others. 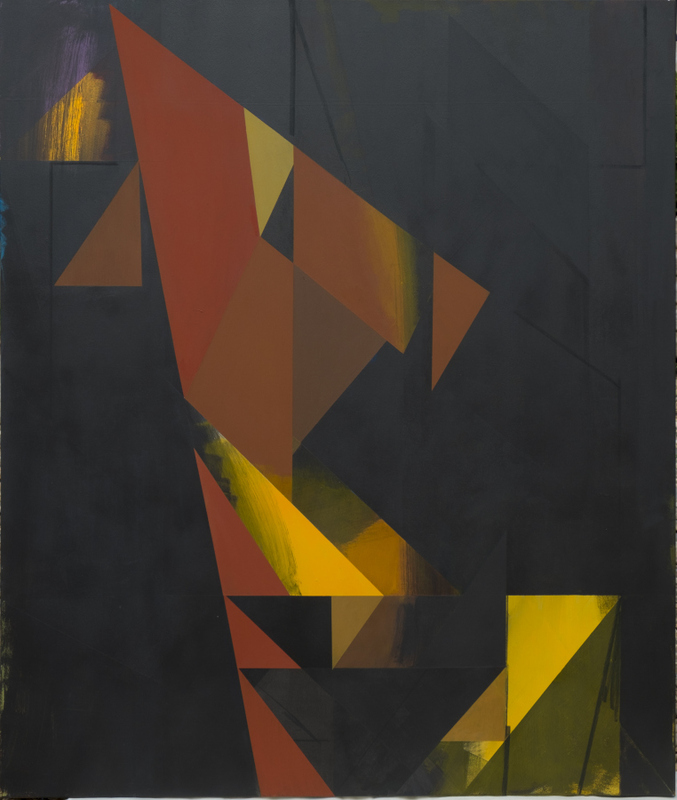 But Gili’s painting is multifarious in its formats, its techniques and its formal investigations: from hard edge intersecting bands and broken planes which usually merge or dissolve color in textural gradations that recall the concerns with “faktura” (the texture of the painting’s surface) of the Soviet avant-garde, to ultra-sharp, graphic-like and hyper-sleek chromatic exercises that seem to insert painting within semiotic environments that belong to the world of signage and design. And with this proliferation of supports, formats and styles he seems to be defiantly confronting the ghost of decoration that for more than a century has haunted abstract painting. 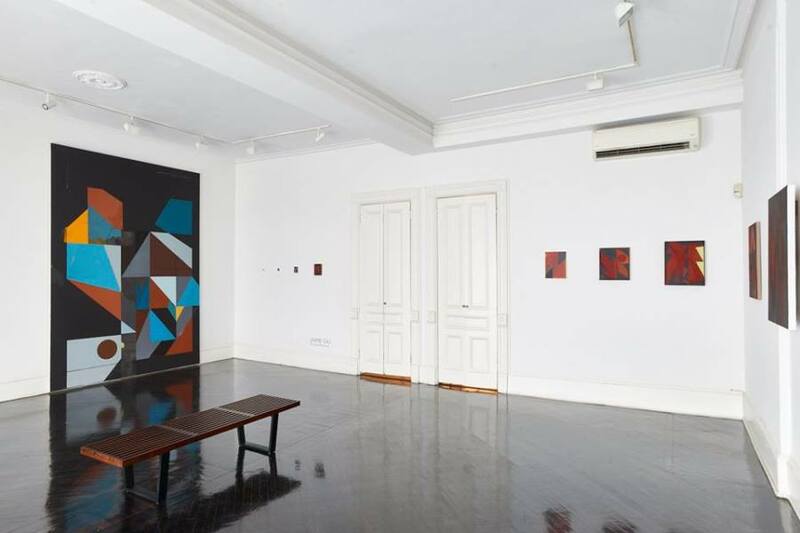 In these Dark Paintings, specifically placed along the perimeter of the front room of the gallery, the artist faces, head on, another pictorial phantom: abstraction’s narrative foreclosure. It was, after all, modern abstraction’s rejection of story-telling, illusionism and the premise of a window onto another world that a) led modern artists to foreground the materiality of the pictorial structure (support and plastic elements such as color, plane and line) and b) (paradoxically) pushed painting outside the domain of the portable object and onto the space of architecture. 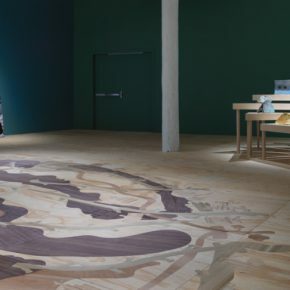 Indeed, it is characteristic of Gili that he will, when not intervening directly into architecture, treat the gallery space as a stage upon which to experiment with installation design. 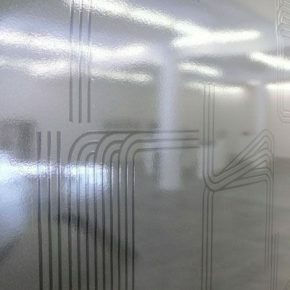 Here, the circuit involves paintings that range between half an inch square to 10 x 7 feet, increasing or decreasing in size depending on the viewer’s rotational trajectory. 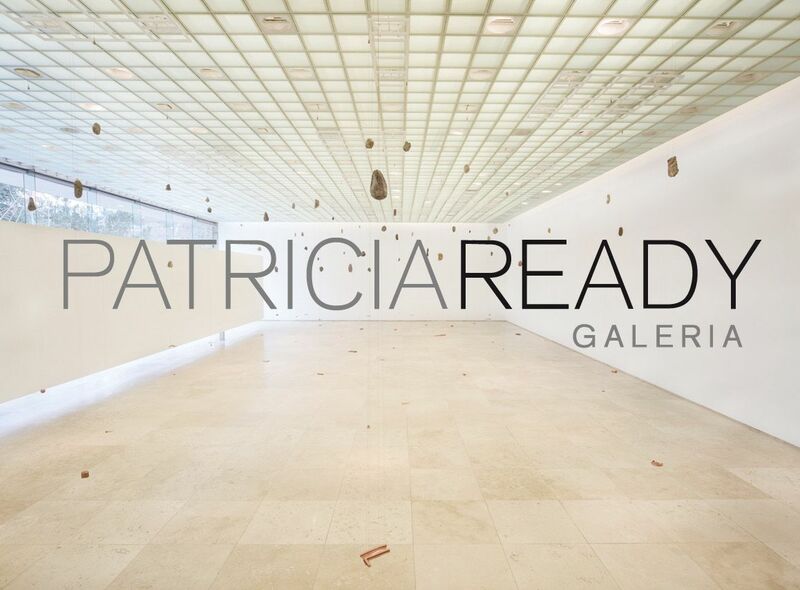 The latter suggests the logic of reading while neither words nor images are visible on the surface of these works. Instead, some of these paintings evoke, willingly or not, the work of Lyubov Popova. 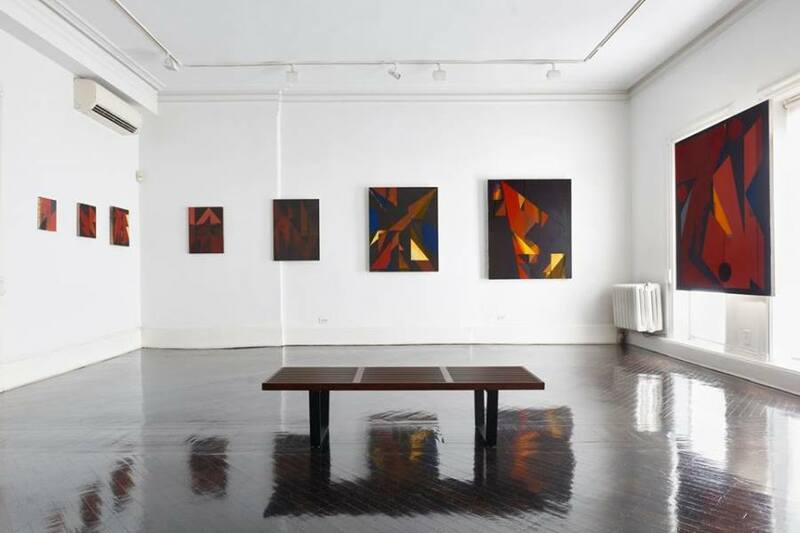 As in the Russian artist’s Painterly Architectonic series (1918) and her Space–Force Construction series (1920-21), earthy tones predominate and contrast with bright colors like yellow or blue. 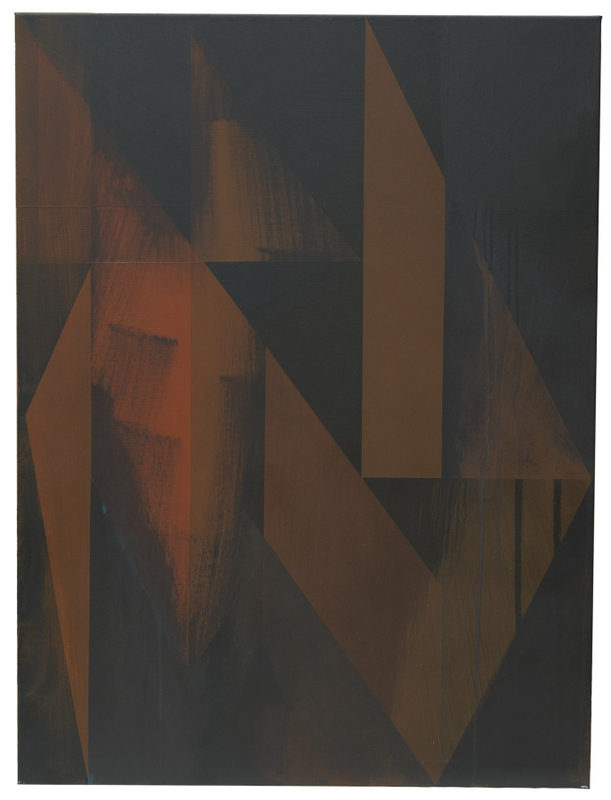 But if in the work of the Russian avant-gardes, oil on plywood, sometimes mixed with wood or metal dust, radically foregrounds texture in order to allude to the materiality of a world which, in the midst and aftermath of the October Revolution was yet to be built, Gili’s paintings are graphic and concerned with surface finish. Painted on linen or Lascaux polyester, traced with masking tape, the granularity of the pigment is not only “enhanced”, according to Gili, but also fully absorbed by the support. 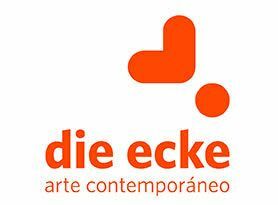 Aware that much of his work will be perceived through images and will compete with images, these paintings bypass radical faktura. 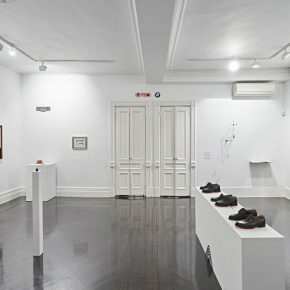 Instead, while still concerned with surface effects, Gili tends to treat his paintings as posters and as semi-architectural panels, maybe as movable, stand-alone murals (like the ones encountered by passersby in Caracas when walking past the crumbling public works of the Ciudad Universitaria. And so there is in these works, with their uneven backgrounds that intersect pristine flat fields of color, with their smudged areas of gray and black staining the broken planes, with the unrefined index of broad brushes carelessly spilling out of the jagged triangular forms, in the yellow undercoat dripping and bleeding from underneath a blue plane onto a black plane, in the half-finished blue shape pressing against the edge of the frame, and in so many other instances of abandonment, a sense of incompleteness, decay and oxidation that encroaches onto the luminous fragments of color. But also of stylistic disorder, as in two large-format paintings that float in front of two windows that overlook 67th street. In these two works there is none of the rhythmic repetition, concern for plastic unity nor utopian formal dynamism that aimed to make of the painterly object, from Lissitzky to Alejandro Otero, a social model. As if to emphasize the dystopian silence of these Dark Paintings, Gili incorporates into the installation an utterly surreal audio component. An episode of “Our Unusual Universe,” a radio broadcast that pops (since 1969) into Venezuelans’ radio-listening several times a day, narrates the image of a photograph that captured a black rectangle floating in the sky as sunrise bloomed in Caracas’ valleys. The narrator recalls an UFO sighting from 1914 to explain the inexplicable image. Like the many public works of geometric abstraction that lay in limbo in this ruined city, this black rectangle is an allegory to the silence of painting and the alien status of utopia in the contemporary imaginary of our urban fictions. Jose Luis Sert, Fernand Léger, Siegfried Giedion, Nine Points on Monumentality, (1943) in S. Giedion, Architecture, You and Me. The Diary of a Development (Cambridge, MA: Harvard University Press, 1958).